The Nicole suite features a retro Parisian typeface combined with a miniature polka dot pattern perfect for a playful yet chic day. 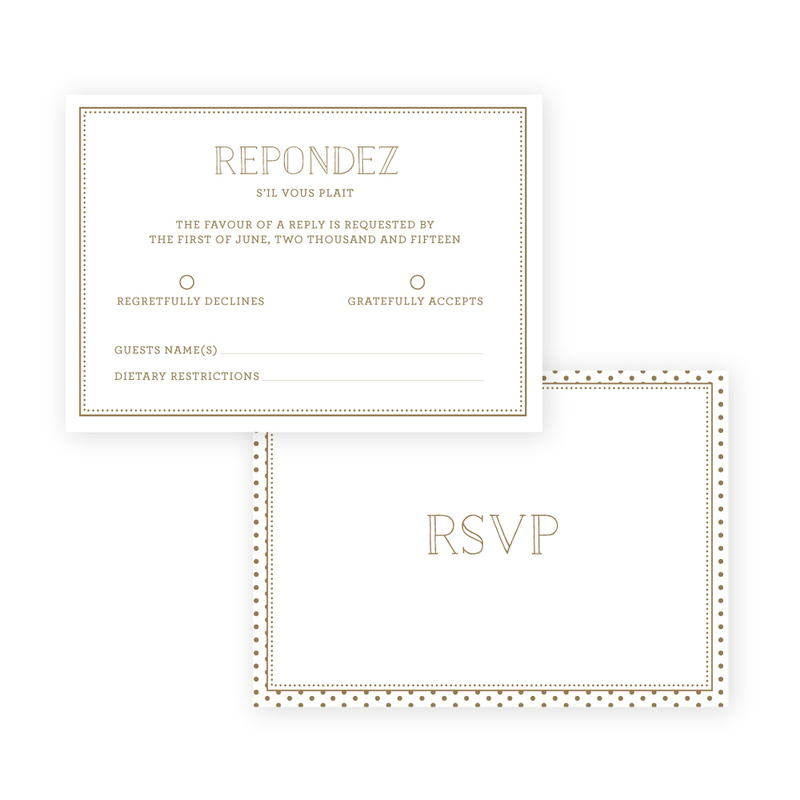 Shown here in Old Gold and Soft from our colour chart, Nicole is available in any colour combination, to coordinate with the style of your event. 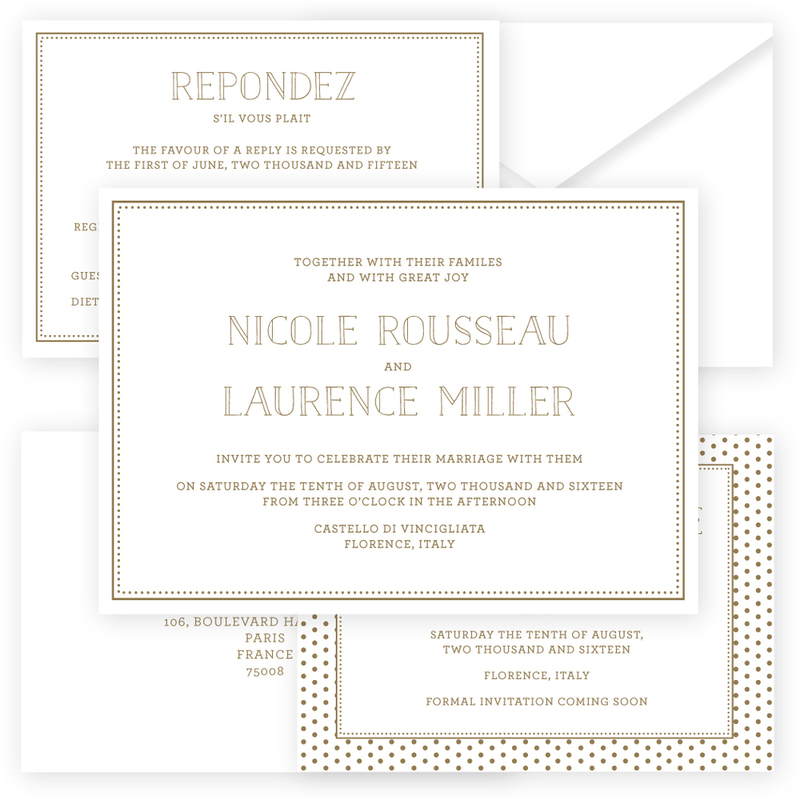 We especially love Nicole as a soft grey digital print, or foiled in rose gold. For the couple looking for something completely unique, just for them.